It seems only yesterday that we watched The Maze Runner in cinemas. I have to be honest and say that I haven't read the books yet, but the movie was pretty good that I am convinced to read the books by James Dashner. It has long been in my to-read list and hopefully this second movie, Maze Runner: The Scorch Trials, will reinforce that liking. So far we now have the official trailer and the teaser poster as well. 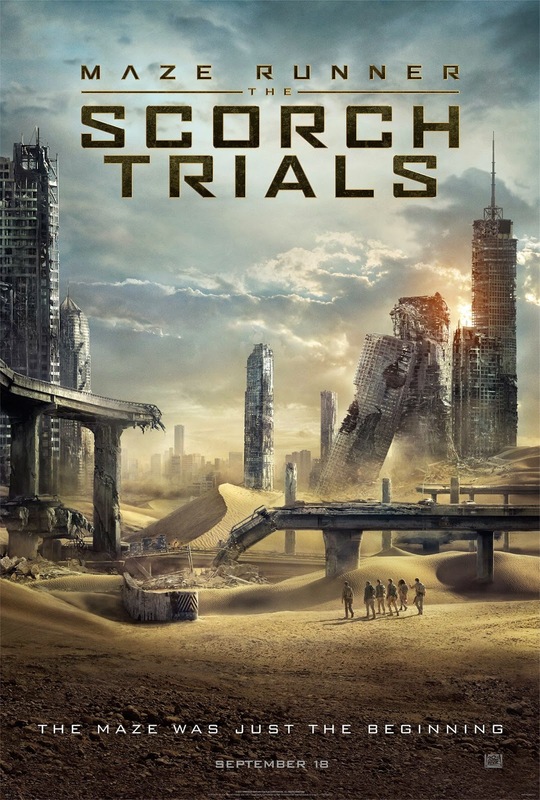 Maze Runner: The Scorch Trials is directed by Wes Ball and stars Dylan O’Brien, Kaya Scodelario, Thomas Brodie-Sangster, Giancarlo Esposito, Aidan Gillen, Barry Pepper, Lili Taylor, and Patricia Clarkson. T.S. Nowlin has written the screenplay based on the popular novel by James Dashner. Check out the trailer of Maze Runner: The Scorch Trials. In this next chapter of the epic “Maze Runner” saga, Thomas and his fellow Gladers face their greatest challenge yet: searching for clues about the mysterious and powerful organisation known as WCKD. Their journey takes them to the Scorch, a desolate landscape filled with unimaginable obstacles. Teaming up with resistance fighters, the Gladers take on WCKD’s vastly superior forces and uncover its shocking plans for them all. Maze Runner: The Scorch Trials will hit theaters on September 18, 2015.